A peach is a sweet and soft and good thing with a stone in the middle, and this is an album about being a person. Smartphones, analogue tape, valve microphones, computers, group games and a grand banquet were used to create this collection of songs, tunes and monologues, that use a series of contradictions to talk about being alive. Long-term collaborators John Ellis (piano) and Paddy Steer (percussion, bass, lapsteel, synth) join Angus Fairbairn (vocal, tenor sax) along with eleven other musicians and nearly a hundred other voices in presenting sounds likened to Ethiopian jazz and Japanese folk music. Scripts and vocal delivery evoke Ivor Cutler, Emo Philips and Leonard Cohen, for this combination of theatre, live-captured music, songs, humour and philosophy. It is a unique collection, made by unusual means designed around the artistry and conveyance of its many contributors. Created over three years in London and Manchester, it’ll be celebrated in those two towns on the dates below, following its vinyl and digital release on Manchester label Debt Records, on 28th September 2015. 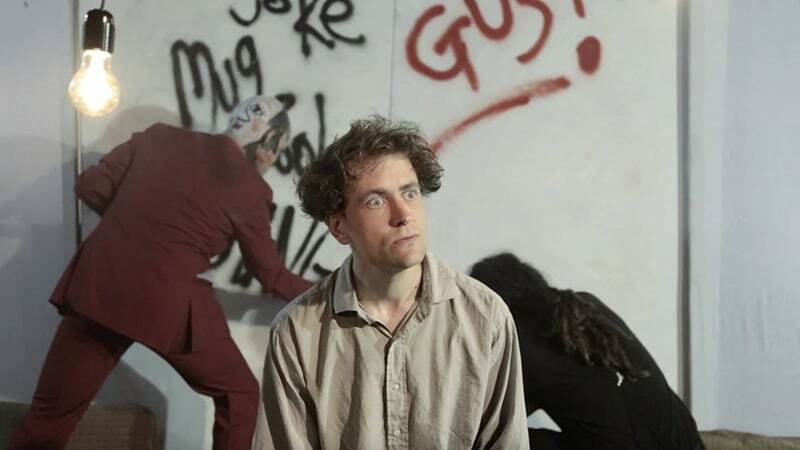 A composer, musician and performer, Alabaster DePlume (Angus Fairbairn) has toured northern Europe, appeared on UK national radio and developed theatre for Bram Stoker Festival in Dublin. His many combined arts projects are based around music, and personal inclusion. In this, his third album, he has employed as many voices as he can, in conveying a method of survival he’s been taught, he says, by everyone he’s met.